To our great joy Cheiron Brandon is back for a second performance as a special guest star in honor of our 3rd Birthday Bash! If you missed her first fantastically festive post please CLICK HERE. It has been such a pleasure to have Cheiron make her debut on the w&w blog during our celebrations and we hope we can have her back in the future! Hi there! Cheiron Brandon here and I am so delighted to be here with a 2nd guest post for this month's Birthday Bash. 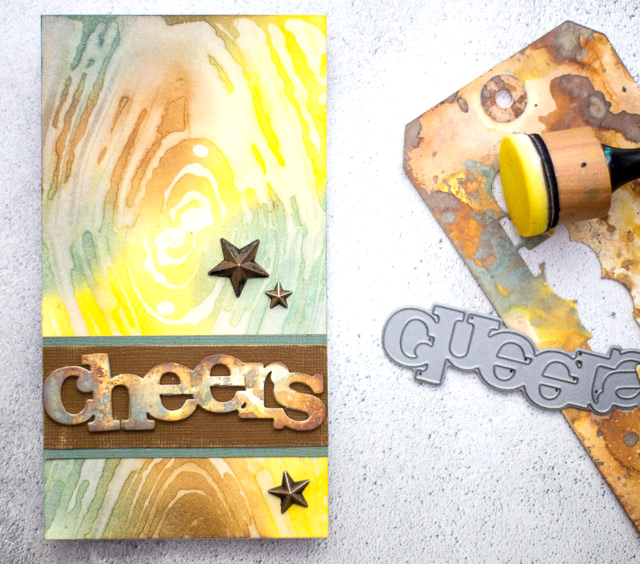 This time I am creating with the Mini Scenery: Marbleize stamp and playing along once again with Mayuri's PatternMaking Challenge (Editor's Note: Cheiron's card is also perfect for the latest The Gossip Column with Taheerah Atchia | No. 6 - Marble). I love creating my own backgrounds and playing with techniques. Today I decided to do a bit of water stamping with Distress Oxide inks. To create this background, I started with a panel of Distress Heavystock and inked it up with Distress Oxide inks in Fossilized Amber, Iced Spruce and Vintage Photo. Making my own inky backgrounds and die cut pieces with ink ensures that everything on my card always matches. 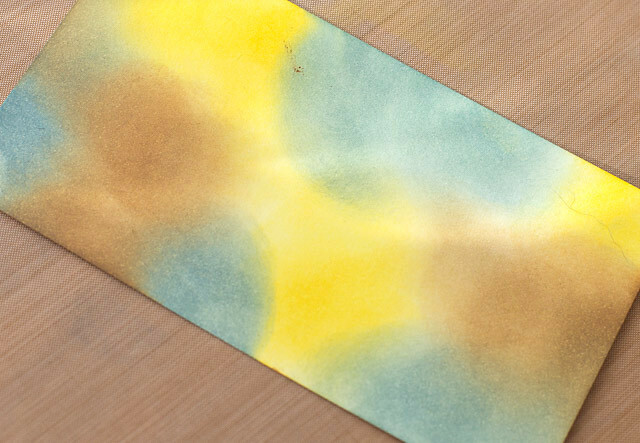 Once my panel was created, I sprayed some water with a mini mister onto my non-stick craft sheet and "inked" up the Marbleize stamp with water then stamped it on to the panel multiple times to create a pattern. The inks react with the water and creates the marbleized pattern which almost looks like woodgrain, which for me is perfect for a guy card. 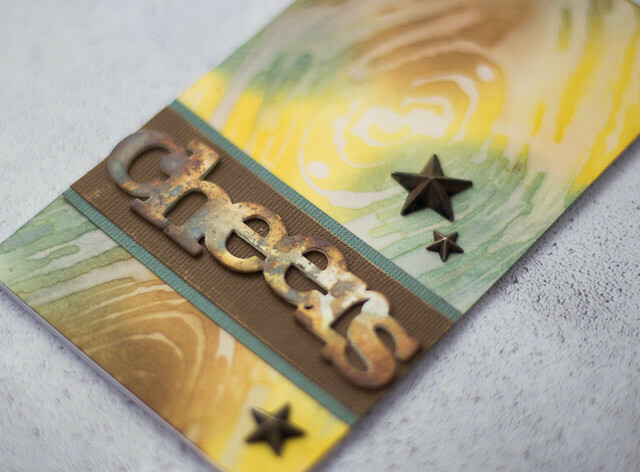 Once my panel was dry, I cut out the word cheers from a tag that I had made with the same colors of ink. To finish off the card, I added some strips in coordinating colors, layered up the die cut and adhered it and finished it off with a few metal stars. Thank you again to Winnie & Walter for having me this month! I adored creating with your stamps...they are so fun and versatile. Wishing you the very best of birthdays! beautiful work!! great idea for a masculine themed project :) love the marbleize stamped image that looks like woodgrain, very cool! I absolutely love your card, Cheiron! I've never been successful stamping with water, but you make me want to try it again! Cheiron, this is beautiful! Love the colourful background and the cheers is a great size! Great effect! I must get some people of these inks! Seriously? What filter does this go through that it keeps changing my words? Wonderful card! I tried to use this same technique with this stamp, but my pattern hardly showed up. 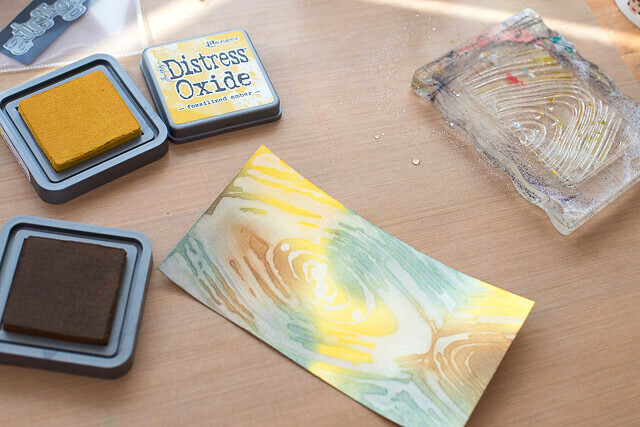 Will have to try this again once my Oxide inks have arrived. Cheiron you've demonstrated why I'm in need of this stamp, AND those inks!!! Outstanding!! !